I just downloaded PRG_Ori_Heads1.2.7z from Shemsu-Heru. 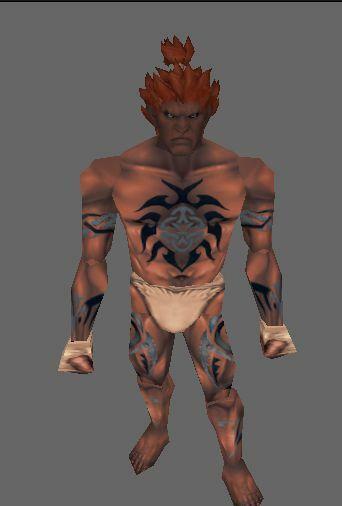 I was wondering if I could change them from NPC Heads to Character Heads as I wish to use the "Akuma" head for my character. I'm old to NWN but new to scripting and building. We don't use that particular hak here for Aenea, but you could always turn the model into an override of a default head model. Use NWN/utils/nwhak.exe to open the hak file and find both the .plt and .mdl for the head model you want to use. Right-click on them and pick Export. Copy them to your override folder and rename both files to the filename for the head you want to override in-game. You'll likely also have to open the model file in something like Notepad and replace every instance of the original filename with the new one and save. Override means that only you would see the head, of course, since the files reside only on your computer, not on the server or other peoples' computers. If you pull the models into Notepad and just see a bunch of weird characters, chances are the model is already compiled. To get the version you can edit, try extracting the file from the hak using NWN Explorer (need info? try here), being sure to click on the "ASCII" tab and right click in the code window, then "export text", but remove the ".txt" from the end. Thanks for the help. I'll go try it out. I tried but couldn't get it to work. Hmm, I also got another head-pack that over-redid the originals that worked for single-player (HoU, NWN Main & SoU). Is there a way to do the same with the Akuma head - even if it's only got single-player? 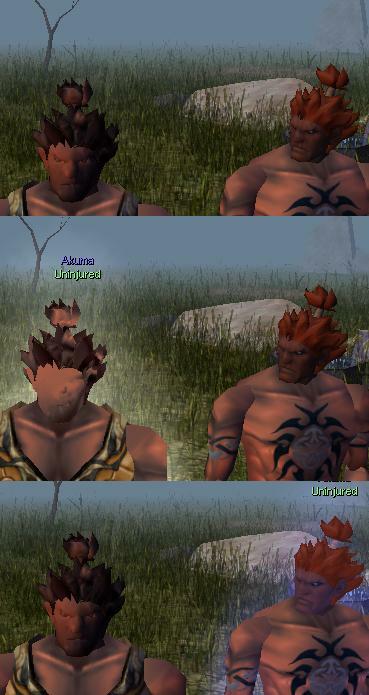 What race is your character you want to override the head for? Half-Orc, its the only one with the appropriate body-type. Any help using it as an over-ride for the single-player mode will be appreciated. Try that one, as a replacement for orc head #2 for NWN/override. Only real problems I see is that has merged the two heads (instead of replacing the original). The skin color (option) changes the entire head & when you put mouse over the avatar the head becomes blurry. Otherwise it's a pretty good attempt - thank you. Hmm, might use Blender to edit the original files - try replacing it that way.